Reactive oxygen species (ROS) are a biological double-edged sword. 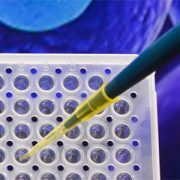 These atoms, molecules or molecular fragments containing oxygen that is poised for chemical reactions, are a key part of the immune response, used by immune cells to kill potentially dangerous invaders such as bacteria. However, too much ROS – which also are produced as a normal part of cellular metabolism – can cause extreme damage to normal, healthy cells. Because oxidative damage has been linked with cancer, many people make a concerted effort to consume antioxidants in food and as concentrated supplements. 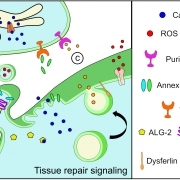 These compounds can neutralize ROS, stemming cellular damage. Taking antioxidants also has been thought to stem the muscle soreness from exercise since ROS are produced in excess during hard physical activity. However, a new study led by researchers from Children’s National Health System finds that taking antioxidants could thwart the processes that repair muscle fibers. 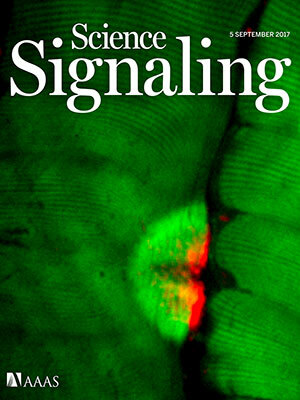 According to the study published Sept. 5, 2017 in Science Signaling and featured on the journal’s cover, oxidative species are crucial signals that start the process of repairing muscle fibers. Cellular powerhouses known as mitochondria help injured muscle cells (myofibers) repair by soaking up calcium that enters from the site of injury and using it to trigger increased production of reactive oxygen species. 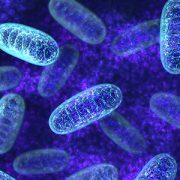 Loading up mitochondria with excess antioxidants inhibits this signaling process, blocking muscle repair, exacerbating myofiber damage and diminishing muscle strength. Antioxidants are widely used by Baby Boomers with muscles that ache from a grueling workout or newborns diagnosed with muscular dystrophy. 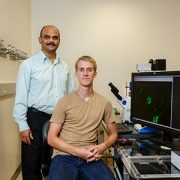 Jaiswal and Children’s National colleagues understand that their results buck conventional wisdom that antioxidants generally benefit muscle recovery. The oxidative signals produced by mitochondria are delicately balanced by the antioxidant defenses in healthy cells. This balance can be disrupted in diseases such as Duchenne muscular dystrophy, which is caused by the lack of a muscle-specific protein, dystrophin. Lack of dystrophin makes the muscle cell plasma membrane more vulnerable to injury. 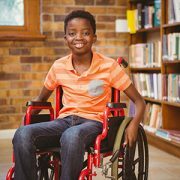 In an experimental model of Duchenne muscular dystrophy, the muscles at birth are seemingly normal but, within weeks, show obvious muscle damage and progressive weakness. In this case, a dose of antioxidants may restore that proper balance and help to reverse muscle damage and progressive weakness. 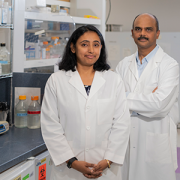 As a next step, the research team is examining oxidation in healthy and diseased muscle to understand how the oxidant-antioxidant balance is disrupted and how it could be restored efficiently by using existing supplements. 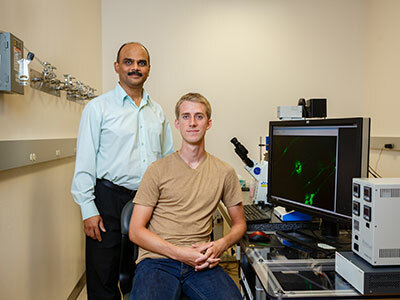 In one such study funded by the National Institutes of Health, the team is looking at the potential benefit of vitamin E supplements for patients with muscular dystrophy. The response of actin protein following injury to a pair of muscle fibers in an intact biceps muscle.